Handmade embroided with leather handle.- Handmade bag with stunning neutral color palette - Genuine leather plated strap and tassel details. 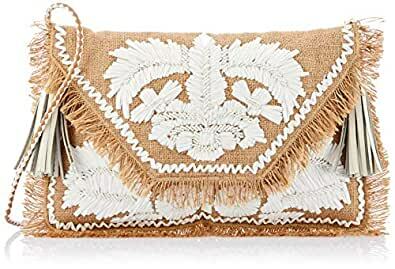 - This must have piece doubles as clutch or a handbag. Product Manufactured in India. Contains Natural Wool Fiber.